The technique is a new and extremely sensitive method of measuring ultrasound. Researchers at The University of Queensland have developed a new and extremely sensitive method of measuring ultrasound, according to a recent report. By combining modern nanofabrication and nanophotonics techniques to build the ultraprecise ultrasound sensors on a silicon chip, they can revolutionise everything from medical devices to unmanned vehicles. 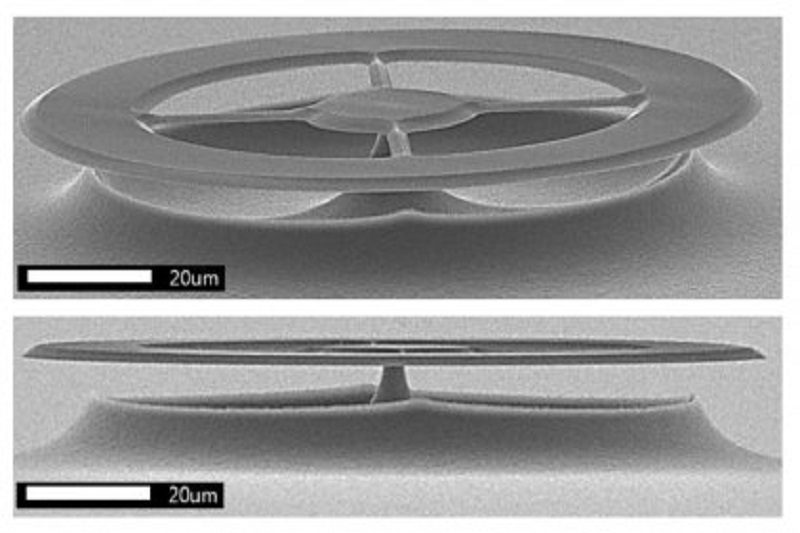 Nanofabrication, as explained, is the design and manufacture of devices with dimensions measured in nanometres. One nanometre is 10 -9 metre, or a millionth of a millimetre. Nanophotonics or nano-optics, meanwhile, is the study of the behaviour of light on the nanometre scale, and of the interaction of nanometre-scale objects with light. It is a branch of optics, optical engineering, electrical engineering, and nanotechnology. This development could usher in a host of exciting new technologies as shared by the Professor from the University’s Precision Sensing Initiative and the Australian Centre for Engineered Quantum Systems. This is a major step forward since accurate ultrasound measurement is critical for a range of applications. One such use of ultrasound is for medical ultrasound. Oftentimes, it is used to examine pregnant women as well as for high resolution biomedical imaging to detect tumours and other anomalies. Spatial applications are another common use for ultrasound. Examples of which are the sonar imaging of underwater objects or for the navigation of unmanned aerial vehicles. Improving these applications requires smaller, higher precision sensors and with this new technique, that is exactly what the team has been able to achieve. The team had developed a near perfect ultrasound detector, thereby hitting the limits of what the technology is capable of achieving. They are now able to measure ultrasound waves that apply tiny forces, which can be comparable to the gravitational force on a virus. They are able to achieve this with the use of sensors that are smaller than a millimetre across. The accuracy of the technology could change how scientists understand biology. Soon, the ability to listen to the sound emitted by living bacteria and cells may also be possible. This could fundamentally improve the understanding of how these small biological systems function. A deeper understanding of these biological systems may lead to new treatments, so the team is looking forward to seeing what future applications may emerge. The research is supported by the Australian Research Council, the European Union’s Horizon 2020 research and innovation programme, the Welsh Government, and the United States Air Force Office of Scientific Research.